Package: 1800 g + 600 g + 250 g + 180 kaps. + 2 x 60 kaps. 519 loyalty points Your cart will total 519 points that can be converted into a voucher of 20,76 PLN. Isolate 100 contains 100% CFM whey protein isolate, which shows record biological value (BV 159), high absorption rate and BCAA and L-glutamine. ISOLATE100 stimulates muscle protein synthesis, contributing to the rapid growth of their mass. 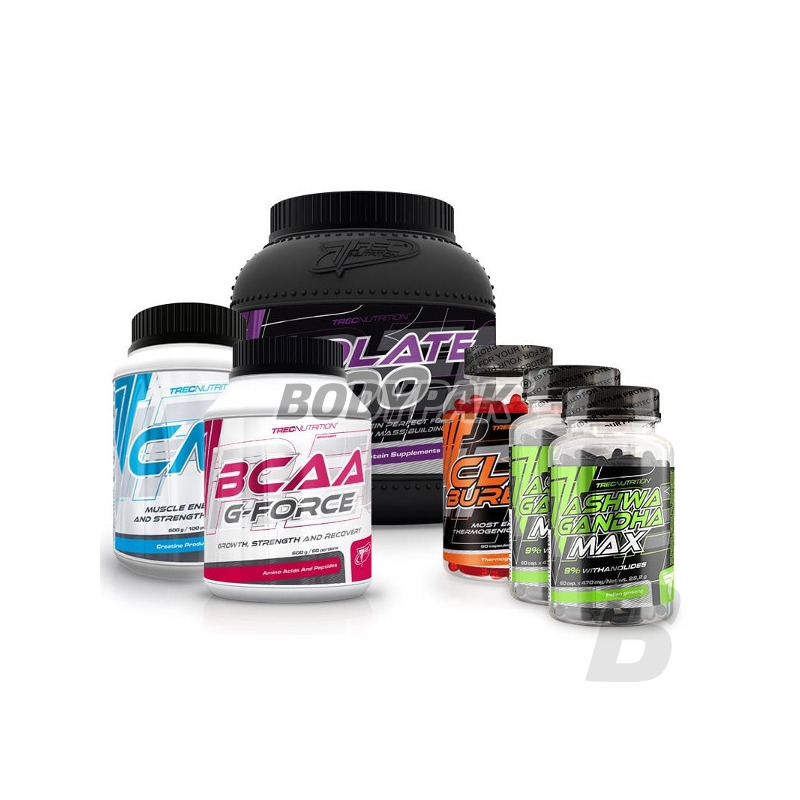 The product supplements the diet with the highest quality fat-free and sugar-free proteins essential in developing athletic and muscular body without the risk of unnecessary fat. 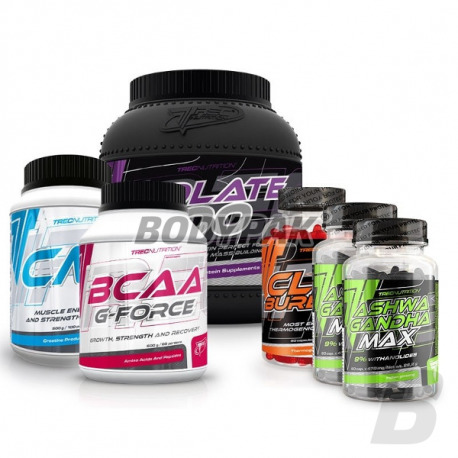 Isolate 100 is a top class supplement fully based on elite whey protein isolate CFM. This material is considered to be the most perfect and most valuable protein source used in supplementation sports diet. ISOLATE 100 provides the highest quality quickly absorbed nutrients that stimulate the process of growth and regeneration of muscle fibers. Whey protein isolate is characterized by the contents of the master key amino acid anabolic agents and the active micro-peptides. The use of a unique technology allows for exceptionally high concentrations of protein and the highest purity. As a result, the protein is almost completely free from undesirable components, which could reduce its nutritional value. Isolate 100 is definitely the best way to supplement the protein, allowing the constant development of the most important features of stress. Whey protein isolate particularly strongly stimulates anabolic processes. The absorption rate and record the contents of leucine stimulates the secretion of anabolic hormones (min. Of insulin) and supports muscle protein synthesis much more strongly than other popular sources of protein. The composition of the product are also specific for this protein source components. Whey contains a plurality of peptides (short fragments of the protein chain) of varying activity. Recent research confirms min. their ability to increase blood flow in vessels and stimulate immune processes. The serving of the product - 30 g (1,5 scoops) in 200 ml of water or milk, using a shaker or blender. Depending on your needs, take 2-3 servings daily.